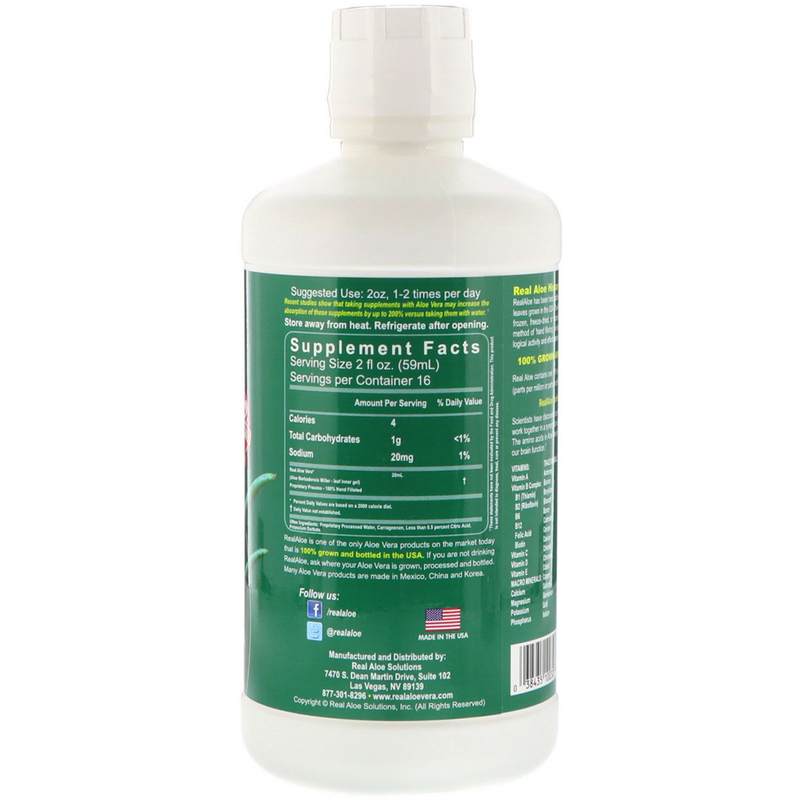 RealAloe is one of the only Aloe Vera products on the market today that is 100% grown and bottled in the USA. If you are not drinking RealAloe, ask where your Aloe Vera is grown, processed and bottled. Many Aloe Vera products are made in Mexico, China and Korea. 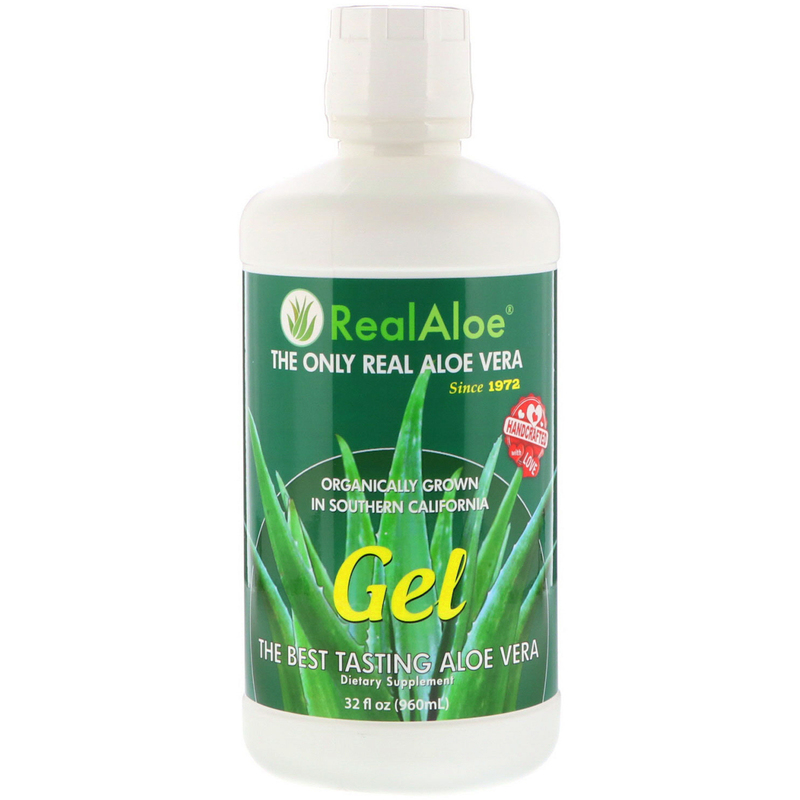 RealAloe has been in the Aloe Vera Business since 1972. We use only fresh organic Aloe leaves grown in the USA. The Aloe Vera used in our products has never been frozen, freeze-dried, or reconstituted from powder. We believe the original method of "hand filleting" the leaves, allows us to maintain the maximum biological activity and effectiveness from the aloe leaf. RealAloe contains No synthetic nutrients. Scientists have discovered over 150 nutritional ingredients in Aloe Vera that work together in a synergistic way to create healing and health giving benefits. The amino acids in Aloe Vera are the building blocks of protein and influence our brain function. Proprietary processed water, carrageenan, less than 0.5 percent of citric acid, potassium sorbate.